Our Timers are the best in the industry by far. They provide the precision and flexibility you need to manage your fish feeding program. We began building timers over 45 years ago — longer than any other company around today. Our timers can schedule feeds up to 24 Times a day, with a unique feed duration and motor speed for each feeding (Motor speed allows you to increase or reduce the distance of feed throw). 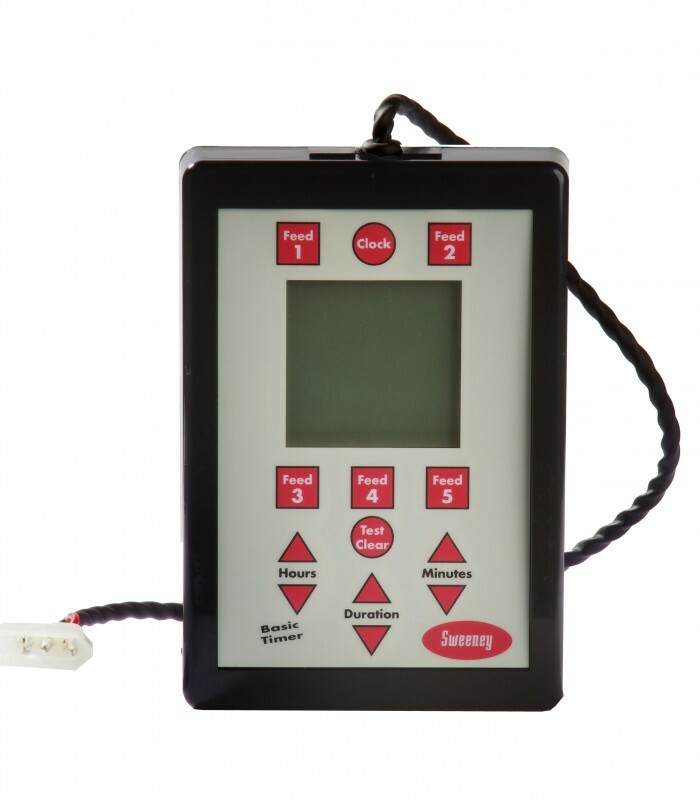 Our timers also have a built in Battery Tester. Package 1: 8 x 5 x 3: 1 lb.